Witchita, Kansas | September 20, 2018–True Blue Power, a leading provider of advanced power solutions for the global aviation industry, announced today that a major U.S. airline has selected the company’s TI250 Series DC-to-AC Inverter to provide AC power to cockpit electronics and electronic flight bags (EFBs) on board the airline’s fleet of Airbus, Boeing, and McDonnell Douglas passenger aircraft. The airline joins more than 50 commercial partners, worldwide, equipped with True Blue Power inverters, voltage converters and USB charging ports. The True Blue Power TI250 Inverter provides 250 watts of wall outlet power from the aircraft’s 28 VDC input. Engineered to run cooler and featuring a fanless design, it is highly efficient, saves energy and reduces weight. True Blue Power inverters are lighter, smaller and more economical than competing units. The company’s line of certified power products offer unique benefits and are an ideal fit for commercial aircraft in need of crew and passenger power. The inverter’s exceptionally low price point is less than a quarter the price of Original Equipment Manufacturers’ (OEMs) alternatives. True Blue Power’s line of advanced power solutions is on display in exhibit #504 throughout APEX EXPO, September 24–27, at the Boston Convention and Exhibition Center. For more information, contact Tom Genovese, Director of Commercial Airline Sales, at 316-634-4520 or visit truebluepowerusa.com. East Aurora, NY | September 17, 2018– Astronics Corporation (Nasdaq: ATRO), a leading provider of advanced technologies for the global aerospace, defense and semiconductor industries, will demonstrate two new technologies intended to improve an aircraft’s passenger experience and operational efficiency at the upcoming APEX Expo in Boston, in booth #343, from September 25-27.
space, even if the bin is closed, to enable cabin and gate crews to quickly direct passengers to available bin locations and know when to start checking bags. In addition to providing a more efficient boarding process that can reduce costly delays, the bin sensors deliver cabin safety benefits during the flight by detecting outgassing events from hazardous devices, such as lithium-ion batteries, minutes before smoke or fire occurs. With this early detection, a notification is sent instantly to crewmembers who can proactively take action and contain in-flight battery events before they cause passenger alarm and lead to costly aircraft diversions. Astronics was recently granted several U.S. patents on the innovative technology with others pending. The latest generation Intelligent Bin System prototype is currently in laboratory testing with a major airline in anticipation of in-service trials in an operational environment. 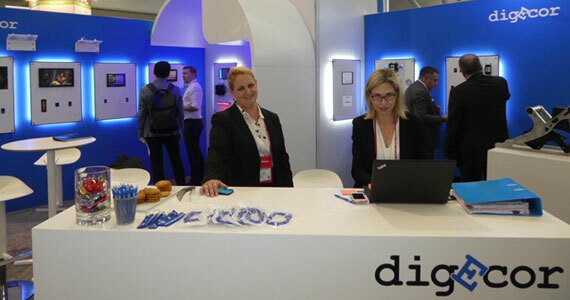 In a second technology demonstration, PDT, an Astronics Company, will demonstrate some new potential applications for the emerging technology of Li-Fi, in a collaboration with pureLiFi. Li-Fi leverages light to send information, in contrast to Wi-Fi, which uses radio waves. Proven capable of transferring data at an unprecedented several Gigabits per second, Li-Fi could eventually empower passengers to download an HD video in just a few seconds, for example. Keeping passengers’ electronic devices (PEDs) powered is increasingly important on the connected aircraft as more airlines incorporate a “bring your own device” business model for enjoying inflight entertainment. 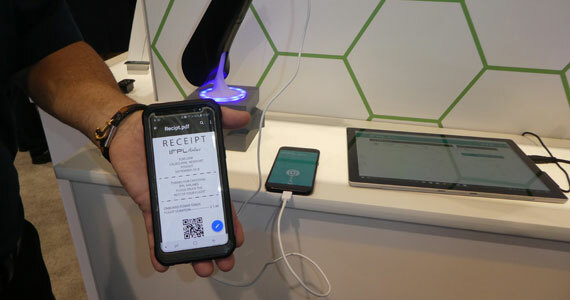 In support of this, Astronics will demonstrate a myriad of innovations including the recently introduced wireless charging module as well as the new EmPower® USB Type-C outlets and companion in-seat power supply system. Astronics brings a long history of innovation and successfully introducing new technologies and products to market, including the EmPower passenger in-seat power technology that has had a profound impact on the passenger experience. The new technology explorations plus proven power solutions can provide a foundation for future aircraft manufacturers, airlines, IFE providers and other industry participants to improve experiences for passengers while also improving cost and time efficiencies for aircraft operators. Astronics will give demonstrations of these and other technologies on-demand throughout the three days of the exhibit. Appointments can also be made by emailing events@astronics.com. East Aurora, NY | April 4, 2018– Astronics Corporation (NASDAQ: ATRO), a leading provider of advanced technologies for the global aerospace, defense and semiconductor industries, announced today that its wholly-owned subsidiary, Astronics Advanced Electronic Systems (AES), is expanding its CorePower® line of products with the new Regulated Power Conversion Unit (RPCU). While this unit performs the same function as a traditional transformer rectifier unit (TRU), it leverages solid-state technology to provide dramatic improvements in performance and efficiency. “Industry trends, like the ‘More Electric Aircraft’ initiative, are driving the need for additional, cleaner power that provides configuration flexibility for various platform types – ranging from fixed wing and VVIP aircraft to unmanned vehicles. The RPCU serves these emerging needs while also providing the cost and weight reductions that are fundamental requirements across the aerospace industry,” said Kellsey Justus, Vice President of Airborne Power and Control at Astronics AES. 85% to 94% to deliver more available power at the same rating. flexibility, such as in locations near a mission system operator or in a VVIP aircraft cabin. The RPCU operates through variable frequency and voltage inputs while tightly controlling the output voltage. With over 50 years of experience in power management, Astronics AES has developed patented intelligent power management systems flying on various aircraft to date. Located in Kirkland, Washington, Astronics AES is an industry-leading manufacturer of aircraft electrical power systems, including power generation, distribution, and control. For more details, visit Astronics.com. East Aurora, NY | April 2, 2018– Astronics Corporation (NASDAQ: ATRO), a leading provider of advanced technologies for the global aerospace, defense and semiconductor industries, announced today that its wholly owned subsidiary, Astronics Advanced Electronic Systems (AES), has been selected by multiple Asia-Pacific airlines to install the EmPower® in-seat power and flight deck power systems. Several major airlines in Asia will install the EmPower systems from 2018 to 2025, including two Chinese low-cost carriers. These recent awards will place in- seat power within 500 additional narrow-body aircraft serving the Asia-Pacific region. The installations are scheduled on both Boeing and Airbus aircraft. Multiple Asia-Pacific airlines will install in-seat power systems from Astronics AES on more than 500 narrow- body aircraft. including 110V 60Hz and high-power (2.1A) USB for use with laptops and other personal electronic devices (PEDs), such as iPads® and smartphones. The Flight Deck Power System includes high-power (2.1A) USB as well 110VAC to power electronic flight bag tablets. For more than 20 years, Astronics has developed and delivered intelligent power management systems to the world’s aerospace industry. With more than one million outlet units delivered, the patented EmPower® in-seat power system is currently in service with over 230 airlines. East Aurora, NY | February 26, 2018– Astronics Corporation (NASDAQ: ATRO), a leading provider of advanced technologies for the global aerospace, defense and semiconductor industries, announced today that its wholly owned subsidiary, Astronics Advanced Electronic Systems (AES), is expanding its CorePower® system product line with a new 28VDC Electronic Circuit Breaker Unit (ECBU). As the newest addition to its successful line of ECBUs, the new unit provides 24 channels of 28VDC power in a lightweight, compact design that simplifies electrical system complexity while improving power system flexibility. The new ECBU incorporates Astronics’ latest solid-state electronic circuit breaker (ECB) technology and offers programmable ECB outputs that can be custom configured to each mission or aircraft. This unit combines new features based on years of flight experience and customer feedback. Aircraft manufacturers have asked for simpler, smaller and lighter ECBUs for installation in tight spaces. They have asked for the ability to be able to configure the units themselves based on varied missions and endcustomer requirements. We’ve listened closely, and with this new ECBU, we give them the tools to achieve their goals. In the future, this new family of products will enable customers to easily grow their system with components, such as an AC ECB card or I/O card, to craft a custom architecture for varied platforms,” said Kellsey Justus, Vice President of Airborne Power and Control at Astronics AES. As previously announced, a version of this unit will be certified on the Textron Denali aircraft. Astronics is taking orders for the 1448 DC ECBU now. For over 20 years, Astronics AES has delivered intelligent power management systems to the world’s aerospace industry. The patented CorePower® system has served in over 10,000,000 failure-free ECB flight hours. Located in Kirkland, Washington, Astronics AES is an industry-leading manufacturer of aircraft electrical power systems, including power generation and distribution. For more details on aircraft electrical power, visit Astronics.com. East Aurora, NY | January 11, 2018– Astronics Corporation (NASDAQ: ATRO), a leading provider of advanced technologies for the global aerospace, defense and semiconductor industries, announced today updated expectations for 2017 year-end results and revenue guidance for 2018. Astronics announced that bookings for the 2017 fourth quarter were approximately $229 million. The Company’s Aerospace segment contributed $171 million in orders, which included $17 million in orders related to the December 1, 2017 acquisition of Telefonix PDT. The Test segment had $58 million in bookings, which included $56 million for semiconductor test equipment. The Company updated its 2018 consolidated revenue guidance to $745 million to $815 million. 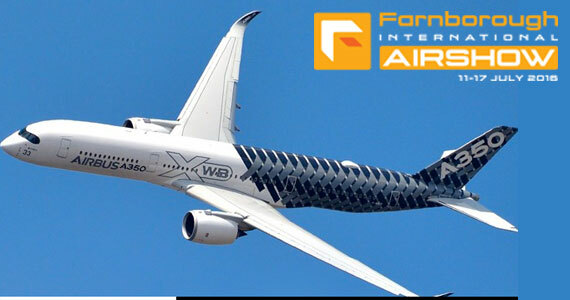 The Aerospace segment is expected to have a revenue range of $630 million to $680 million including Telefonix PDT. The Test segment is expected to have revenue of $115 million to $135 million. The Company also announced that it expects to record a non-cash goodwill impairment charge against the goodwill associated with Armstrong Aerospace of approximately $16 million in the 2017 fourth quarter. The Company expects to release its fourth quarter and full year 2017 financial results in late February 2018. East Aurora, NY | December 11, 2017–Astronics Corporation (NASDAQ: ATRO), a leading supplier of advanced technologies and products to the global aerospace, defense and semiconductor industries, announced today that its CorePower® System, provided by its wholly owned subsidiary Astronics Advanced Electronic Systems (AES), was recently certified by Pilatus Aircraft Ltd on the new PC-24 Super Versatile Jet platform. East Aurora, New York | October 16, 2017– Astronics Corporation (NASDAQ: ATRO), a leading provider of advanced technologies for the global aerospace, defense, and semiconductor industries, announced today that its wholly owned subsidiary, Astronics Advanced Electronic Systems (AES), was recently selected by six major North American airlines to install industry-leading EMPOWER® in-seat power systems on up to 1,400 narrow- body and regional jet aircraft. Astronics AES will equip the airplanes with 110VAC and high output USB power for every passenger from “nose to tail,” including the cabin crew stations. Line-fit and retrofit installations will occur from early 2018 through 2023. Statistics show that 97% of passengers travel with personal electronic devices, and a large percentage carry more than one. For over 20 years, Astronics AES has supplied intelligent power management systems for airline passengers’ benefits. The EMPOWER system is currently in service with over 230 airline and OEM customers with over one million power outlets installed. East Aurora, NY | October 3, 2017 – Astronics Corporation (NASDAQ: ATRO), a leading supplier of advanced technologies and products to the global aerospace, defense and semiconductor industries, announced today that its wholly-owned subsidiary, Astronics Advanced Electronic Systems (AES), has added the Dual Frequency Converter Unit (DFCU) to its EMPOWER® system line of products for the business and VVIP jet industries. A revolutionary departure from traditional converters, the DFCU produces 4,000 watts of either 115 or 230 volts AC to support passenger and utility power anywhere in the world. The new DFCU incorporates Astronics’ latest solid-state electronic circuit breaker (ECB) technology and offers programmable ECB outputs that can be custom configured to each cabin, eliminating the need for a secondary distribution panel and saving both cost and weight. 2017. Astronics will highlight new solutions spanning connectivity, power, lighting and more for deployment on commercial, business and military fixed-wing and rotor aircraft. View the video to see what Astronics will be showing at this year’s Paris Air Show, June 19-25, 2017. Satellite antenna systems. Astronics AeroSat is showing its newest connectivity solution, the FliteStream® F-310 Series antenna system. Designed to take advantage of new spot beam satellite technology, the FliteStream F-310 delivers the highest bandwidth and fastest in-flight internet connectivity speeds in its class. Avionics connectivity systems. Attendees can learn about Astronics Ballard Technology’s new small- size, lightweight webFB® system, an FAA-certified aircraft interface device (AID) that provides a cost- effective, easy-to-deploy solution for commercial airlines looking for secure connectivity for portable electronic flight bags (EFBs) and avionics data. Astronics Ballard Technology will also feature its AB3000, a customizable avionics I/O embedded computer offering easy integration plus power- packed performance with multiple built-in data bus interfaces and an Intel processor. In-cabin power solutions. Astronics Advanced Electronic Systems (AES), the industry leader in passenger power, will demonstrate its EMPOWER® product line, including in-seat power supplies, AC outlet units, USB outlet units and dual AC/USB outlet units. Power generation and distribution. In addition, Astronics will show its CorePower® product line that provides flight-critical power generation, power distribution and power conversion on a broad range of aircraft. Recent innovations in the CorePower® product line include solid-state power distribution, brushless starter-generators and significant advancements in power conversion technology. Enhanced vision systems. Astronics Max-Viz will demonstrate how its newly certified Max-Viz 2300 Enhanced Vision System (EVS) improves visibility of terrain and runways. Blending infrared and visible light sensors, the new Max-Viz 2300 EVS displays real-time heat sources, along with LED airport lighting, to make it safer for pilots to land in dark, challenging conditions. Aircraft lighting systems. Astronics Luminescent Systems, Inc. (LSI) will be on hand to demonstrate its latest innovations in cabin lighting, cockpit panel lighting, exterior lighting and other lighting products, built on a 40-year history of serving the aircraft industry. Emergency lighting and safety products. Attendees can preview several products from Astronics DME’s emergency systems line, including the newest Air Lite® LED flashlights, which offer significant weight savings and technological improvements over legacy flashlights. Other offerings include exit indicators with 50 different language options, universal precaution kits and first aid kits. Finally, Astronics PECO will provide information on its custom manufacturing capabilities for the production of any aircraft component, including passenger service units, fuel access doors and many other customized solutions for commercial and military aircraft. With a breadth of innovative solutions from Astronics, customers can enjoy streamlined vendor management, deep technical expertise and FAA-certified solutions. Company-wide, Astronics delivers cost- effective solutions with a collaborative spirit to solve customer challenges. Today, Astronics solutions are deployed throughout most commercial, business and military aircraft platforms worldwide. For complete details on the products and services Astronics offers, visit Astronics.com. East Aurora, NY | August 3, 2016– Astronics Corporation (NASDAQ: ATRO), a leading supplier of advanced technologies and products to the global aerospace, defense, and semiconductor industries, today reported financial results for the three and six months ended July 2, 2016. Earnings per share for 2015 are adjusted for the 3 for 20 (15%) distribution of Class B Stock for shareholders of record on October 8, 2015. Buxtehude, Germany | July 2016– Buxtehude, July 2016 – KID-Systeme GmbH announces the extension of its Management Board to a multi-member Board. Effective from 1th of May Peter Schetschine, previously Vice President Customer Affairs, has been appointed General Manager of KID-Systeme with the focus of Customer Relationship. Next to Managing Director Patrick Schrot, Peter Schetschine will be responsible for the overall revenue generation including business development, product line management, sales, customer program management, marketing communications and events. Peter Schetschine started his career in the aircraft industry more than 25 years ago after graduating in physical science und physiology. Since then he held a variety of senior management positions in engineering, business development and sales at KID-Systeme and Airbus. Peter Schetschine has been part of KID-Systeme GbmH since its formation in 1999 and challenged the growing international business of KID as Vice President of Customer Affairs. As leader of sales, marketing and communications he has a strong record managing many sales and marketing campaigns, international exhibitions and building global sales networks. Where Go Airplane Sales, So Goes IFEC Sales! Sales of new planes have been sluggish in the business sector and this week’s Farnborough should be somewhat telltale for new planes in that market as well. As noted above, so far in 2016 the numbers don’t look like those of 2014. If we look at the general aviation market, for example, at the end of 2014 plane shipments were up some 4.3 percent, but in 2015 shipments were down one half percent. Also noting that in 2007 at the peak of the market, the GenAv manufacturers produced over 4000 planes; and today, that market is closer to 2331 aircraft. We should also mention that the price of GenAv planes almost doubled (on average) after 2007 because of the lower numbers being produced. We wonder if the GenAv plane number trends will start showing up in the commercial market this year? One aviation expert in the financial industry expects this year’s new commercial aircraft orders to be in the 500 – 600 range at Farnborough instead of the 700+ as in last couple years. The economy and the other aforementioned factors, may be the perfect storm… not to mention the entry of Chinese and Russian new commercial planes (By the way, what IFEC do they choose? ), just may have an impression on the world markets and maybe, just maybe, if Farnborough is down, the market may be shifting and some of the planes (and engine) manufacturers might get a bit of breathing room. But don’t kid yourself, this potential reduction in demand will affect IFEC and it may cause many changes… and many say these changes have already begun! If sales are truly down we expect the loss of, and/or combining of, some of the players in our industry – Stay Tuned on this one. This week’s Farnborough sales will have some indications as to where we will be heading in the way of total industry revenues, at least in the near term. However, if you include the IFEC impacts as a result of passengers carrying more and better portable devices, both may have an influence on IFEC sales and installations. However, the market for connectivity, which seems to demand higher and higher speeds, will surely keep up and maybe even increase. The issue here is price and we are waiting for new technology and better bandwidth to help out. Whatever the outcome, it looks like Farnborough may be a big indicator that our industry needs to watch very carefully. Lufthansa Technik is responsible for installing all systems and components as well as for the works required to comply with aeronautical and statutory regulations. In Europe, this was the first successful installation involving the GX communications network and the Honeywell-designed Ka-band antenna. To install the system, electrical and structural modifications were required both inside and outside the aircraft cabin. All modifications were developed and approved by Lufthansa Technik’s licensed development unit. The installed components were integrated in the cabin infrastructure in such a way that they are virtually invisible for passengers and easy to operate by the cabin crew. The work can be completed in up to four days or during regular maintenance layovers. Shenzhen Airlines has selected Rockwell Collins’ full suite of advanced avionics and PAVES Broadcast overhead in-flight entertainment on 44 737 aircraft comprised of 37 737MAX and seven 737NG. Deliveries of the aircraft are expected to begin in July 2017. Among the Rockwell Collins avionics selected by Shenzhen include its MultiScan ThreatTrack weather radar, GLU-2100 Multi-Mode Receiver and TTR-2100 next-generation Traffic Alert and Collision Avoidance traffic computer. “Commercial air traffic will continue to increase in the Asia-Pacific region and having advanced systems that Shenzhen can count on for more efficient flight, weather threat detection, precision navigation and aircraft avoidance will be essential,” said Jim Walker, vice-president and managing director, Asia-Pacific for Rockwell Collins. 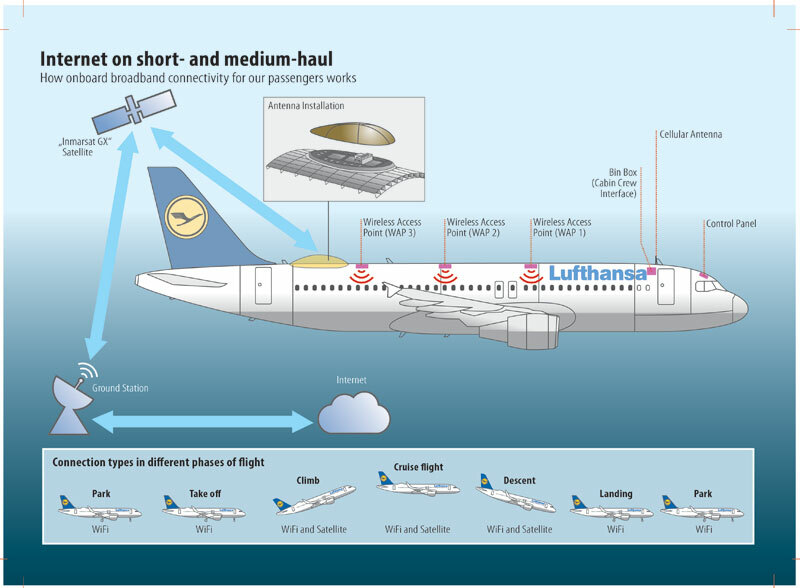 The new Wi-Fi frequency standard (‘HaLow’) may be the solution to more range at less power for inflight applications. 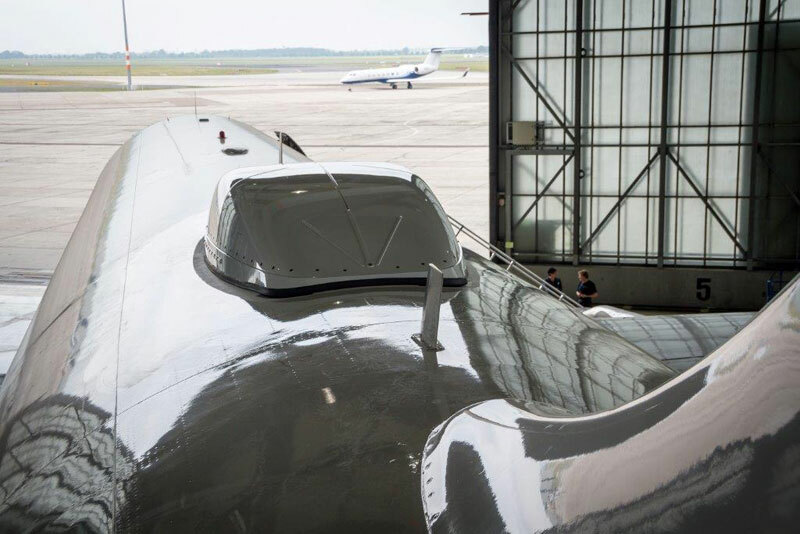 With double the range of existing antennas, it may be a solution inside long metal fuselages, that is, if it doesn’t interfere with any aviation systems that exist today. Approved with an eye for IoT Wi-Fi solutions, it may find a home on a future plane or at the airport. If your future cell phone runs out of power on a flight, there may be a “solution”. Check out this link! Paris Air Show, June 18, 2009 – Thales and Liebherr are pleased to announce the signature of a Memorandum of Agreement (MoA) to create a partnership covering a range of business and research initiatives within the field of Power Optimized Aircraft. Liebherr and Thales will drive a first joint innovative R&T program called “GETI”* which will be cofunded by the French Aviation Authority (SDCA). This initiative is launched in the framework of new generation aircraft. Thales and Liebherr, as tier 1 suppliers, have a joint ambition for supporting airframers within “Power Optimized Aircraft” architectures by delivering innovative solutions for the technology development of greener aircraft. 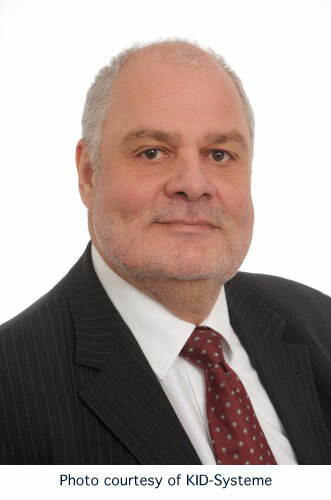 “By bringing together our specific competencies we are able to strengthen our powers of innovation in order to optimize the transformation of pneumatic systems into a more electrical system”, explained André Benhamou Liebherr-Aerospace Toulouse President. “We are taking onboard the challenge of the Power Optimized Aircraft which is a nose-to-tail systems optimization of on-board power architecture. This is an important step, since it enables benefits in terms of weight savings and reliability improvements”, he added. The partnership has an open approach to breakthrough innovation in the optimization and application of technology. This approach is totally consistent with the recently published CORAC** and ACARE*** road map. industry players, research centres, academia, airports, airlines, regulators, the European Commission and Member States. ACARE’s ultimate objective is to define a mid- to long-term aeronautical research agenda, which is then rolled out in a coordinated, harmonised manner by its members. The deliverables are aimed at maintaining the competitiveness of the European aerospace industry and meeting the needs of society at large.